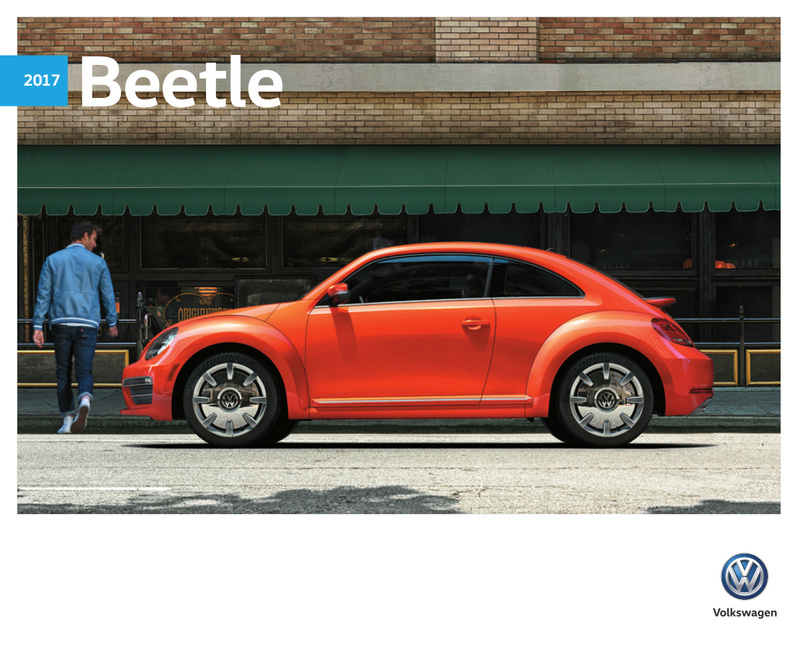 Sales brochure for the 2017 Volkswagen Beetle featuring four option groups: the 1.8T, Classic, Dune, and #Pinkbeetle. Under the hood is a 170hp 1.8L TSI turbocharged 4-cylinder. Exterior paint color options are listed as Pure White, White Silver metallic, Fresh Fuchsia metallic, Bottle Green metallic, Platinum Gray metallic, Silk Blue metallic, Sandstorm Yellow metallic, Habanero Orange metallic, Tornado Red, Dark Bronze metallic, and Deep Black pearl.